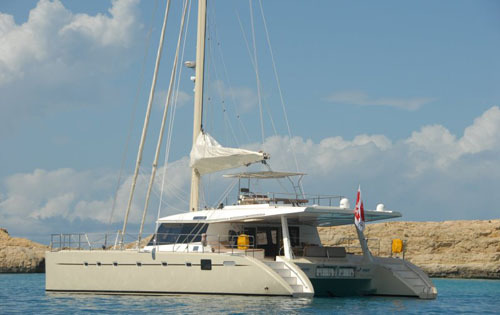 Luxury yacht sailing catamaran MOONSTONE was built by Sunreef in 2006 and has interior design by Htep Polska. 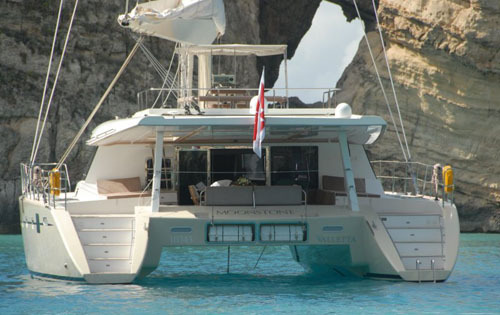 Charter yacht MOONSTONE is a Sunreef 60 and is traditional in her appearance with wide open salons, decks and her spacious flybridge. 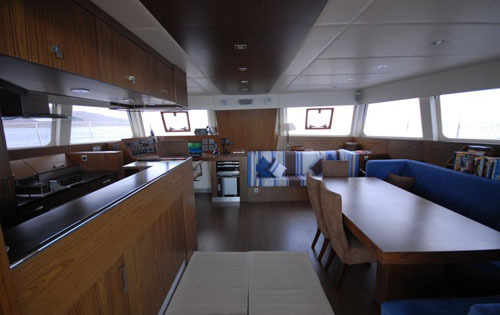 Catamaran MOONSTONE offers amble sufficiency of space for entertaining and relaxing with a large internal salon, dining and galley area. The salon is flooded with natural light from her expansive panoramic windows. 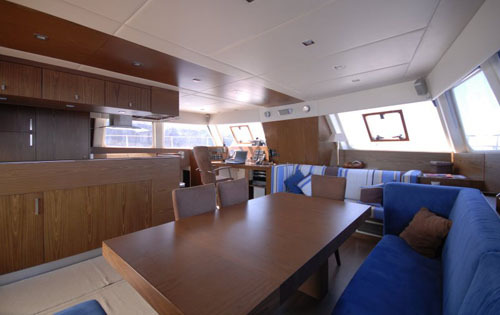 Her vast cockpit offers a large area for alfresco dining and sunpads where guests can relax in comfort in the shade. 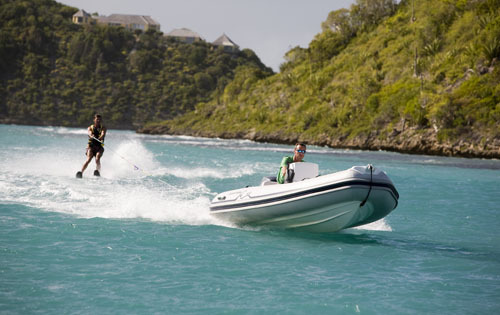 For sun lovers, the flybridge is the place to be. 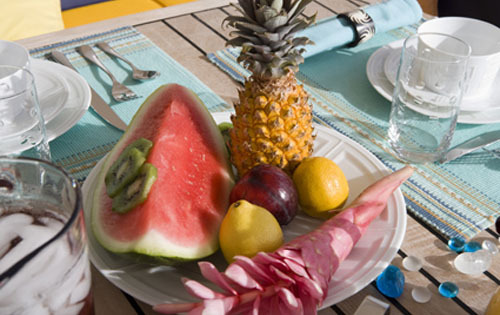 A bimini on the flybridge covers a small casual dining area and open sunpads are available aft for those who wish to soak up the Mediterrranean sun. 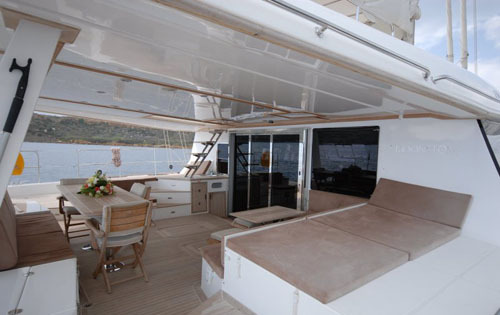 The Sunreef 60 catamaran also offers plenty of sunning space on the foredeck where guests can relax on the trampolines – even when under sail. 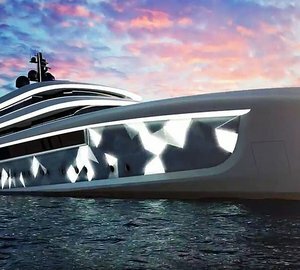 The luxury yacht MOONSTONE is also equipped with plenty of features to keep guests entertained on a yacht charter including a full range of water toys and entertainment facilities. 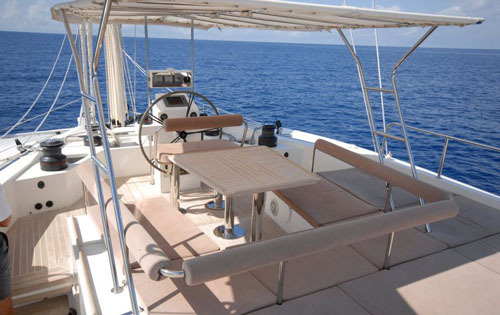 MOONSTONE comes with a professional crew of two and they are available for charters throughout the Mediterranean. 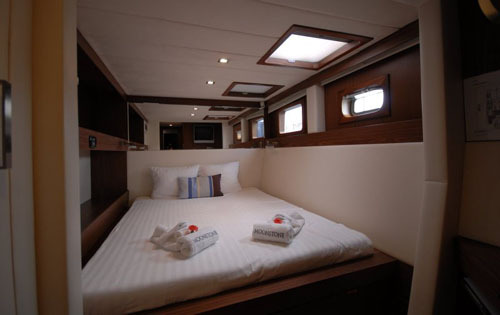 Luxury yacht catamaran MOONSTONE has comfortable accommodation for 8 guests in 4 cabins all with ensuite bathrooms. 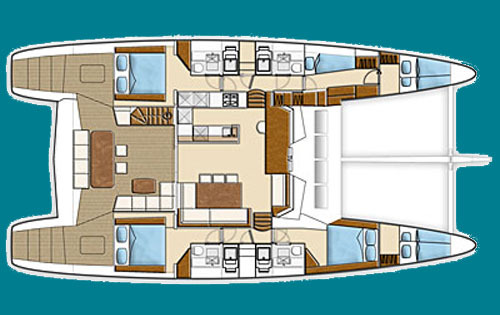 3 of these cabins are doubles & 1 is with twin beds.